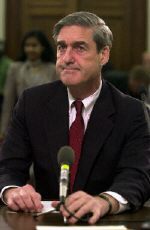 FBI Director Robert Mueller testifies before the House Appropriations Committee during a hearing on FBI reorganization June 21, 2002 (Photo: AFP). Sydney The Sydney Morning Herald (centrist), June 15-16: The White House stumblebum team played fast and loose this week—rushing headlong into every crisis, their loose lips risking greater tension, fear, and panic in a world that was trying to cool it. Along the way, they angered, upset, or confused the Israelis and the Palestinians, and European and Arab leaders who want to see more effective world leadership in settling the Middle East conflict; the warring Indians and Pakistanis; and an anxious American public and increasingly testy Democrats in the war on terrorism. Amman Al-Ra’i (pro-government), June 14: What seems apparent at this juncture is that the timing of the announcement [of the detention of Abdullah al-Muhajir, the alleged “dirty-bomb” terrorist] a month after his capture was to alleviate the heat of the failure of the intelligence agencies in the United States to prevent Sept. 11....The goals of this scare tactic are: Ram the new White House security proposals through Congress; continue to roll the movement toward attacking Iraq; quiet doubts about the scope/nature of the war on terrorism. Madrid El País (liberal), June 12: The Bush administration seems convinced that Al-Qaeda will try to attack again, and repeats this daily. In this way, however, the administration is feeding the alarm...that has gripped many citizens. By sending apocalyptic messages against the United States, Bin Laden and his allies are in part succeeding by subjecting a superpower that feels itself at war to unprecedented tension. Seoul Dong-A Ilbo (independent), June 12: The American press and the Democratic Party raise suspicions that....the announcement of the capture of the [alleged “dirty-bomb”] terrorist was intended to turn public attention away from the congressional hearings about the responsibilities of dealing with the 9/11 terror incident, such as the lack of cooperation between the CIA and the FBI, and toward other matters. Mexico City Proceso (liberal newsmagazine), June 17: For Mexico...the main worry from this entire investigation [of intelligence lapses] is that according to U.S. intelligence officials, the big mistake was that the CIA failed to tell the State Department and the Immigration and Naturalization Service what it knew, which could have led to the terrorists’ detention at the border. If the conclusion is reached that the main defense against future terrorist attacks is border control, bilateral relations with Mexico will suffer the consequences. Sofia Sega (independent, left-leaning), June 12: What lies beneath the media hype around the detained dirty bomb “attacker,” apart from self-assertion? Most likely a desire to present in a glossy packaging the more or less hollow content of the war against terror, launched after the Sept. 11, 2001, attacks....But in this case, the Americans outdid themselves in the ability to turn routine news into sensation. There must be a reason why: Colossal funds have been allocated to combat terrorism, and they must be justified. São Paulo Istoé (liberal newsmagazine), June 12: In addition to becoming an agency that collects information and has the power to investigate the citizens whose taxes pay for its budget, the FBI will get even more money to expand its scope of work. Punishment for incompetence, therefore, turns into reward. Oslo Verdans Gang (independent), June 12: Perhaps this is being too cynical. And yet the arrest of an alleged nuclear terrorist came like a gift from above for President George W. Bush. It was almost a relieved president who could appear on TV and thank the FBI and CIA for exposing the nuclear terrorist. Tel Aviv Ha’aretz (liberal), June 11: The Americans are trapped between two seemingly contradictory lessons...—the importance of organic forces, as opposed to patchworks of representatives from various agencies, and the critical importance of forming multi-force task forces. Catching as you can from whatever is available leads to disasters like the 1980 failed hostage-rescue attempt in Iran, but fighting organized crime...was proved possible only after federal agencies, local police forces, and prosecutors combined forces.